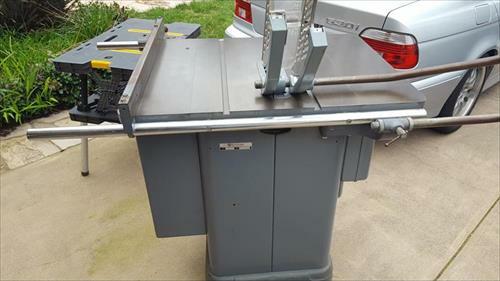 My plan was to completely disassemble, clean, and replace bearings, but ended up finding my quest table saw and will be using that instead, so this one needs to go to a good home. I'm pretty sure it is totally complete and original so I don't think there would be any parts you would need to find. - the original jet-lock fence with micro adjust (I think it's called the jet lock... it was the one that came with the saw originally) that is not stripped. - I have found the Miter gauge, but lit looks like it may be a transplant from a later Unisaw. Included if wanted.